Ricky10games had the most liked content! 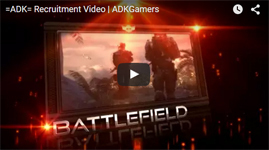 Announcing ADK's Own Competitive Teams! What about the Apple juice team smh. Welcome Kermit, was fun playing with you on inhouses. The winning game mode is... It's Hammer time! How will this mode be played? 2 teams 1 of Reinhardts and 1 of Torbjorns only hammers with modified stats Will this mode last for the entire duration of the in-house? No. We will be playing Competitive 6v6 during the night similar to how we would if any other game mode is played. Unless people just want to play Its hammer time for the whole inhouse How will the inhouse be set up then? We will be playing a few rounds of Its Hammer time until everyone has their fill. We will then move onto regular Competitive 6v6. Near the end of the night we will consider doing the mode again if there is still enough interest. We hope to see all of you on Friday! Thank you to everyone who voted on our poll located here!We are happy to announce the mode that we will be playing this week is Its hammer time. If your desired mode was not selected, please make sure to cast your vote next week! It will be up on Friday, as soon as in-houses have concluded. Remind me, when are in-houses? In-houses take place on Fridays at 9 PM Eastern/8 PM Central. You are welcome to bring your friends to participate with us, but we do ask that they join us on discord. Hey everyone, its time to choose the gamemode of the next inhouse! We are wanting to hear your feedback for what you want to play this week! Please vote for your preferred game mode for us to play next week. Below will be a description of each mode. We rotate out the gamemodes on the poll every week. The new custom gamemode launcher means a lot of opportunities for new game modes. If you have any ideas, please feel free to share them here. I'd really appreciate it! If you are new or have never heard of our weekly inhouses, please refer to THIS thread. Just as a reminder, inhouses start at 9 PM Eastern every Friday night! Lucio Racing A bunch of Lucios race from the start of the map to the end of the map with speed increased! Winston Zombie Horde A team of Lucios try to escape from the Zombie Gorillas (Winston) Elimination Gamemode score to win 5 It's Hammer time! A team of Reinhardts agains a team of Dwarves (Torbjorn) with modified stats. Only hammers allowed! For more info check Exstoerm's post here! Mercy Paintball A mode we've played in the past. This mode features amped up Mercy's who try to eliminate the other team of Mercy's! @Meli ♥ Glad you got the game! My btag is Ricky10games#11681 looking forward to play with ya. Welcome to ADK! Hope to see you around. The winning game mode is... FFA! How will this mode be played? Normal FFA in chateau with more than 8 if possible Will this mode last for the entire duration of the in-house? No. We will be playing Competitive 6v6 during the night similar to how we would if any other game mode is played. Unless people just want to play FFA for the whole in-house How will the inhouse be set up then? We will be playing a few rounds of FFA until everyone has their fill. We will then move onto regular Competitive 6v6. Near the end of the night we will consider doing the mode again if there is still enough interest. We hope to see all of you on Friday! Thank you to everyone who voted on our poll located here! We are happy to announce the mode that we will be playing this week is FFA. If your desired mode was not selected, please make sure to cast your vote next week! It will be up on Friday, as soon as in-houses have concluded. Remind me, when are in-houses? In-houses take place on Fridays at 9 PM Eastern/8 PM Central. You are welcome to bring your friends to participate with us, but we do ask that they join us on discord. Hey welcome to ADK! I play Overwatch too my btag is Ricky10games#11681 if you ever wanna play. Hope to see you around. Hey welcome to our section! My btag is Ricky10games#11681 if you ever wanna play! You are always welcome to join us and play with us.